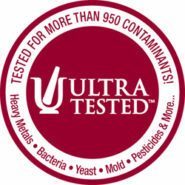 Designed to control bacteria and support gastrointestinal system health. 40 billion CFUs per capsule. Gluten and casein free. Free of common allergens. 90 vegetarian capsules. Purity Tested®. CD-Biotic™ is a specialty probiotic, formulated to support healthy gastrointestinal flora. 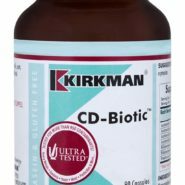 This probiotic was designed to be used with Kirkman’s CD-Herbal™, a powerful blend of herbs, which also targets strains of undesirable flora, however it is effective used without CD-Herbal™. 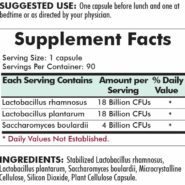 CD-Biotic™ is a blend of three probiotic strains including Lactobacillus rhamnosus, Lactobacillus plantarum and Saccharomyces boulardii. These three strains of good bacteria have a history of supporting healthy gut flora under stress. It provides 40 billion colony forming units of friendly bacteria. 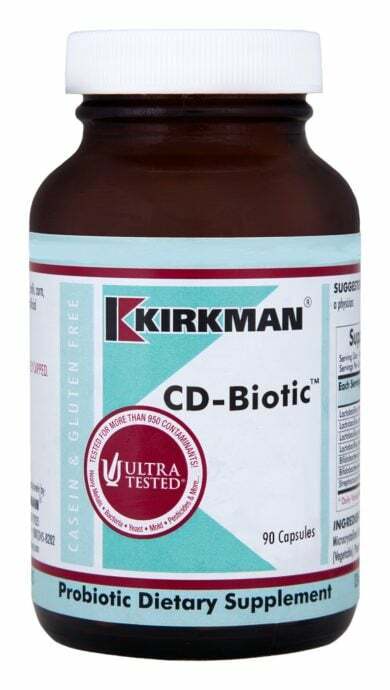 CD-Biotic™, when used with CD-Herbal™, forms a concentrated duo that have a profound impact on gastrointestinal flora to support gastrointestinal health. It is important when using this duo of products together, that usage instructions are carried out accurately. 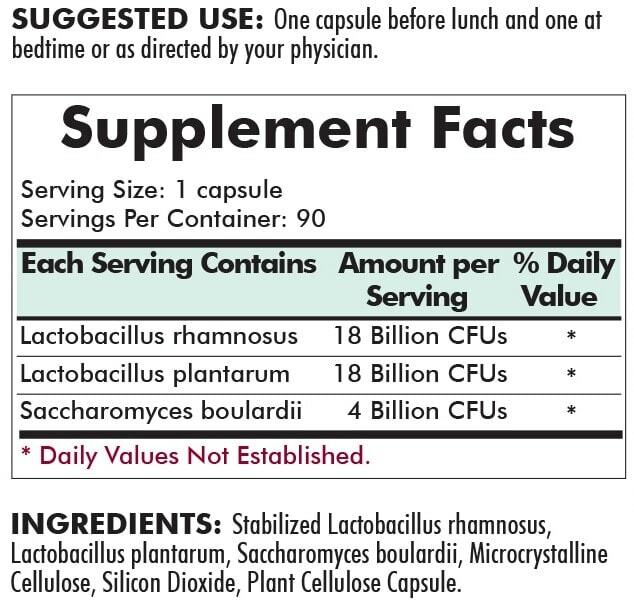 The typical serving is one CD-Biotic™ capsule one hour before lunch and one more near bedtime (two hours after dinner). The CD-Herbal™ capsules should be taken just before breakfast and two more before dinner. FREE OF: Sugar, starch, soy, wheat, casein, gluten, milk, corn, egg, gelatin, flavors, colors, peanuts, tree nuts or fish. 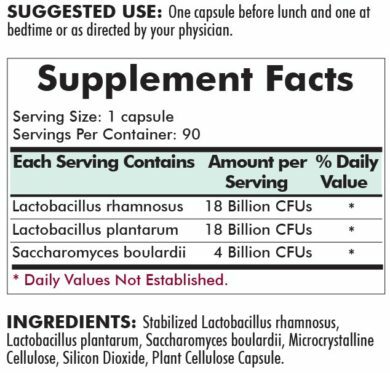 INGREDIENTS: Stabilized Lactobacillus Rhamnosus, Lactobacillus Plantarum, Saccharomyces Boulardii, Microcrystalline Cellulose, Silicon Dioxide, Plant Cellulose Capsule. WARNINGS: KEEP REFRIGERATED AND TIGHTLY CAPPED. KEEP OUT OF THE REACH OF CHILDREN.